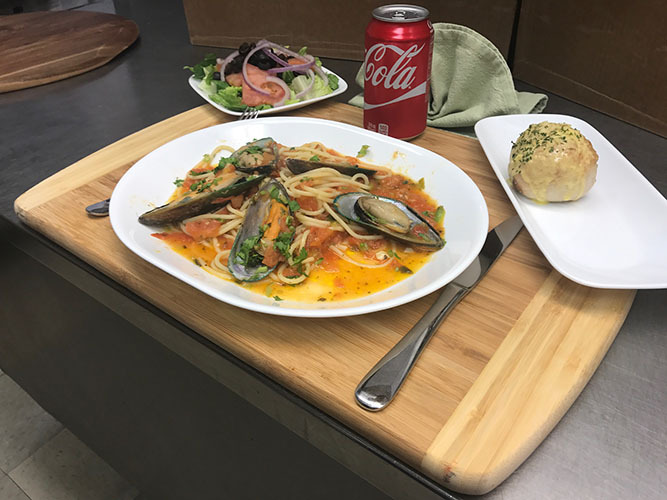 Mussels on a natural tomatoes sauce over a bed of spaghetti pasta. 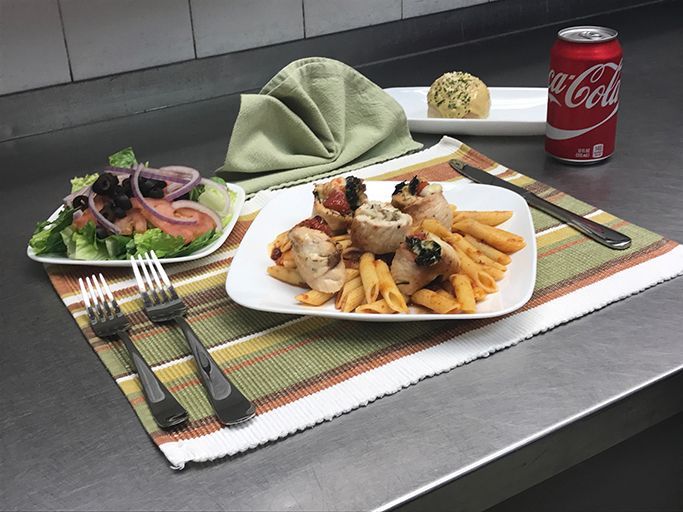 Chicken roll of provolone cheese, spinach, cherry tomatoes and mushrooms over bed of penne pasta. 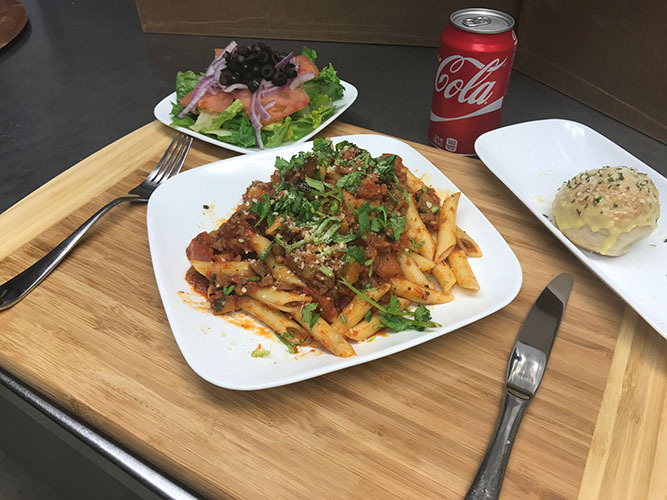 Penne pasta with an eggplant in a homemade meat sauce. 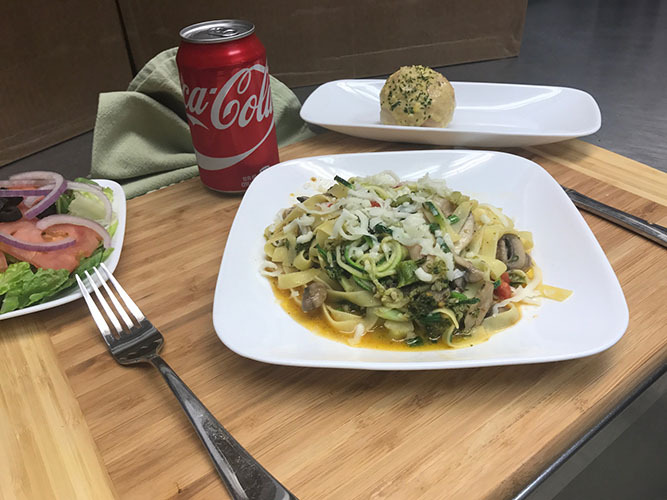 Zucchini angel hair with mushrooms and broccoli over a fettuccine pasta on a garlic butter sauce. 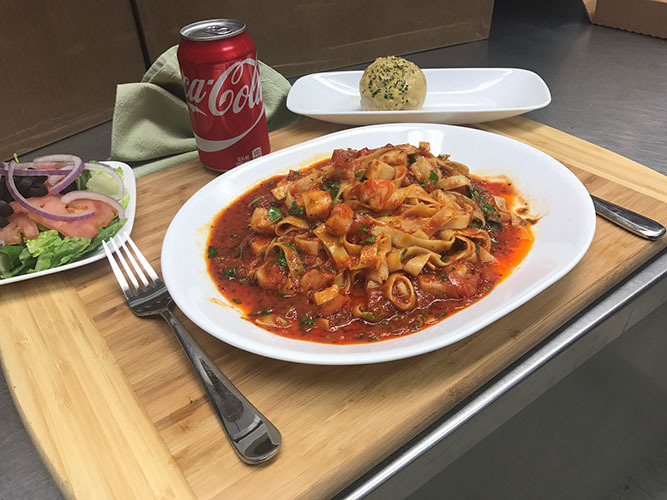 Fettuccine in a natural tomatoes sauce with chunks of crabmeat. *Must mention coupon when ordering.